When faced with the decision of saving a natural tooth through endodontic treatment, a patient should feel confident that this is the best choice for their health and cosmetic results. There are many advantages to saving the natural tooth such as: normal biting forces, efficient chewing, maintaining a natural appearance and limiting the need for more costly dental work. That coupled with the fact that dentistry has yet to produce a replacement for the natural tooth that looks, feels and FUNCTIONS as well as a natural tooth. A patient should never choose to have an extraction just because they think it will be cheaper. When a natural tooth is extracted, it will typically need to be replaced with an implant or some other dental prosthesis in order to prevent future problems. The cost of the implant or prosthesis and the extraction, is quite often, more expensive than the endodontic procedure that could help save the tooth for years to come. Most dental plans also cover endodontic procedures. A patient should never choose extraction because they think the root canal treatment will be painful. Better anesthesia and modern techniques make most root canal treatments almost painless. In a recent study, patients that have root canal treatment are six times more likely to describe it as “painless” than patients that have never had root canal treatment at all! A patient should never choose extraction because they think it will be quicker. Endodontic treatments generally require one or two visits lasting usually less than an hour each. 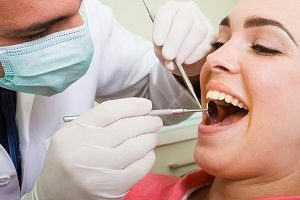 Of course, an extraction is only one visit, but there can be several additional visits necessary to replace the tooth and they are usually longer.